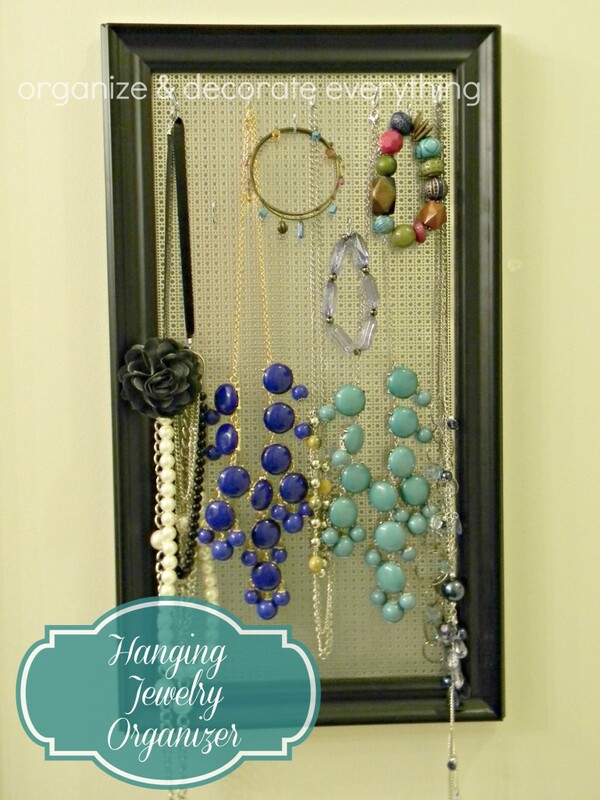 I don’t have a lot of jewelry but I have enough to need to make another Hanging Jewelry Organizer. Not that I’m complaining. 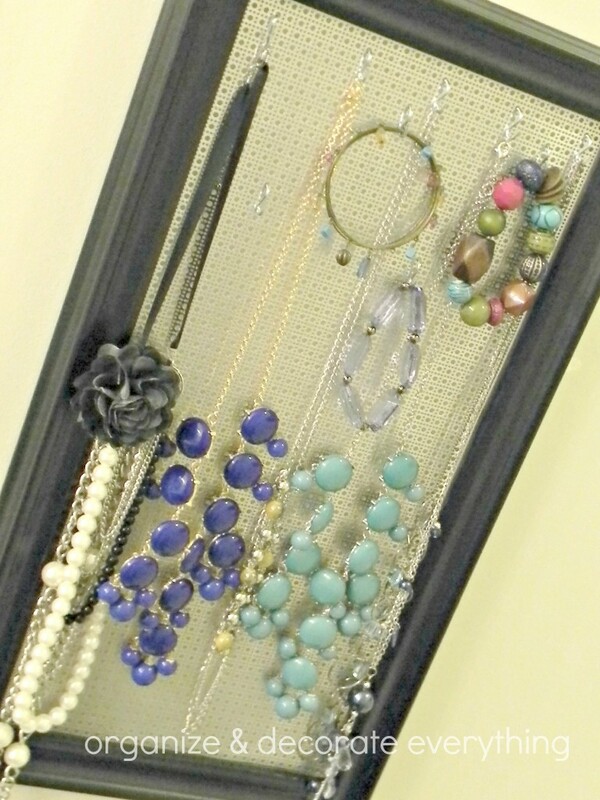 I like having my jewelry displayed, and it’s pretty and functional. Here are the supplies you need for this project. Size the metal to fit the frame you will be using. I bought the decorative metal sheet and frame at Hobby Lobby. I was able to get the frame for 80% off (I love the clearance area) and the metal for 40% off (with coupon). 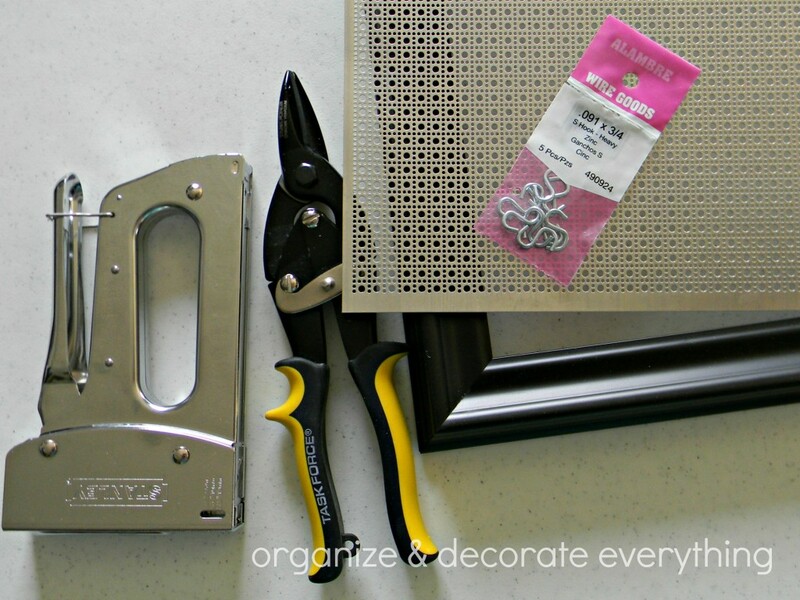 Cut the metal sheet using aviation tin snips. 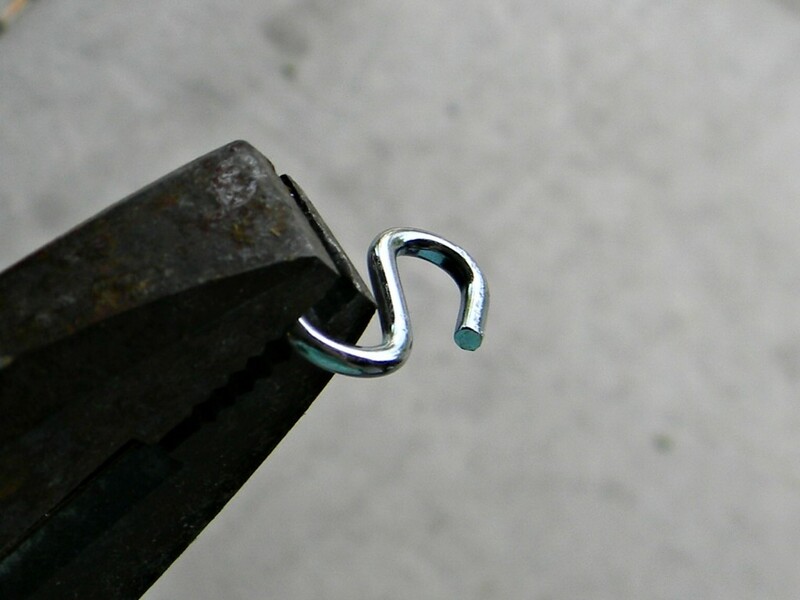 This is super easy to cut, just be careful not to bend it. 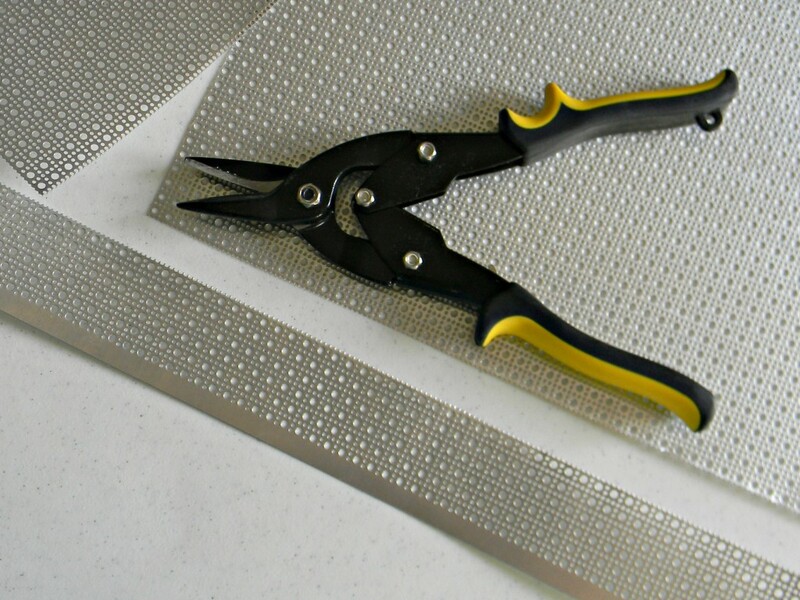 Another tip for this project: It’s best to cut off the trim from around the sheet before measuring . The solid area is hard to get staples through. I had a small bit of metal left over that I will be making something else with later. 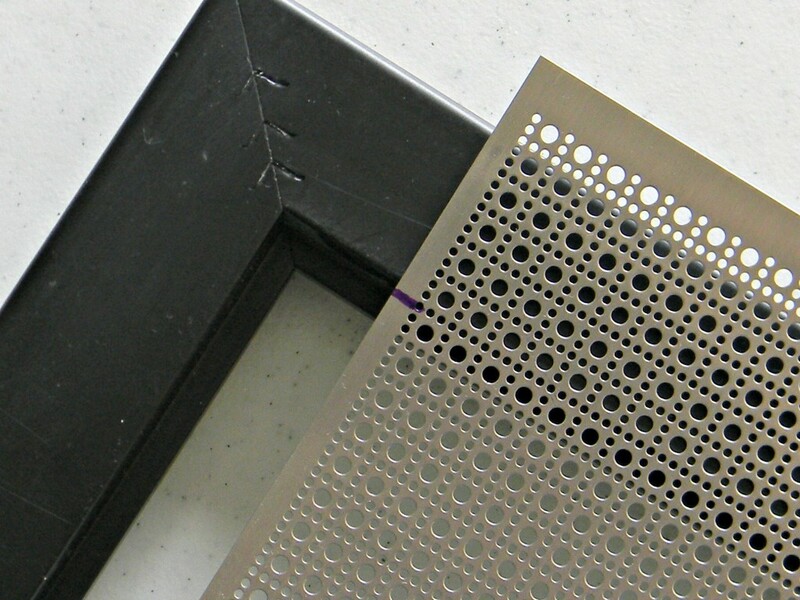 Staple the metal to the back of the frame all the way around. I used a staple about every 2-3 inches. 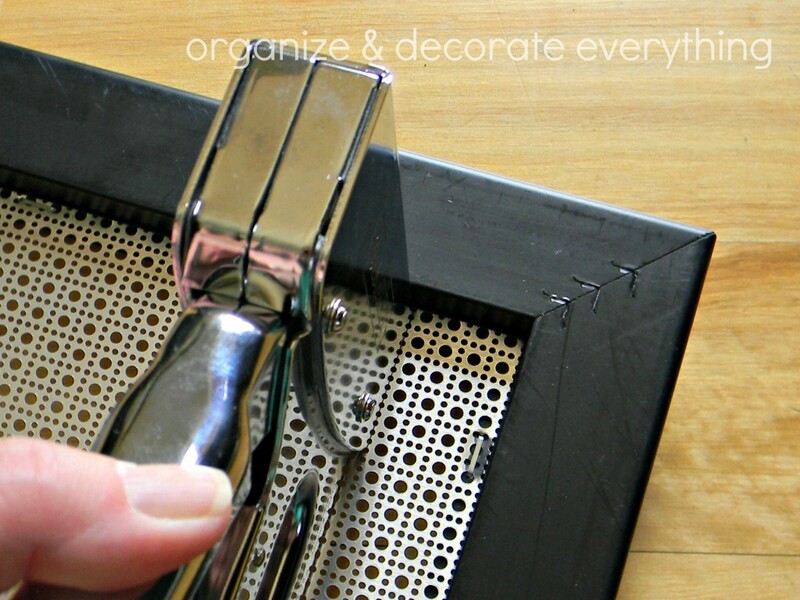 Staple on a hard surface and push down hard so the staples go all the way through. I used 4 Command hook strips to secure the new organizer to the wall. I love not having to put holes in the wall. I’m using 3/4″ S hooks to hang the jewelry from. The hooks didn’t fit through the holes easily so I had to bend one end out a bit. Hold one end with pliers (hubby’s rusty ones work fine) and place the other end in a tight area. I used a small hole in hubby’s work bench. I pulled the hooks out just enough for them to fit in the holes on the metal sheet. Who can resist displaying jewelry when it’s this pretty? 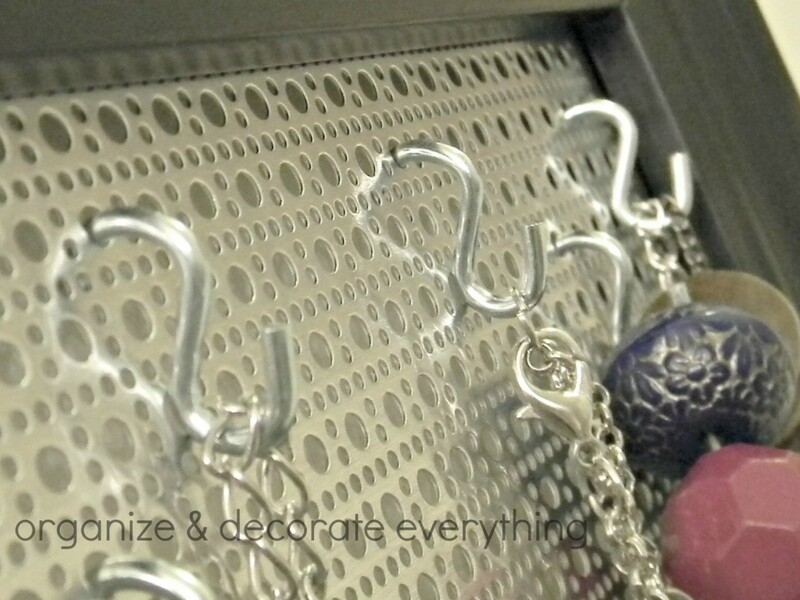 You can check out other ways I organize my jewelry here. I have had this on my to do list forever and definitely need to get on it. Since my friend started selling Stella & Dot, my jewelry collection seems to have exploded. Thanks for the tutorial! Today, I am starting a social media blog hop with 5 other ladies I met at Snap Conference. Each week features a new social media link up starting with Facebook today. I hope you will come over to link up at Just Us Four!